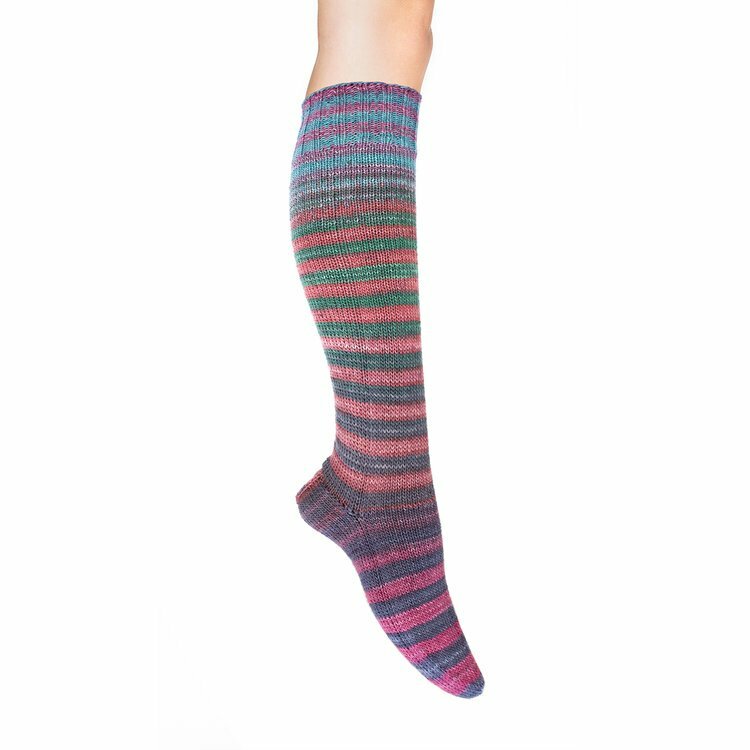 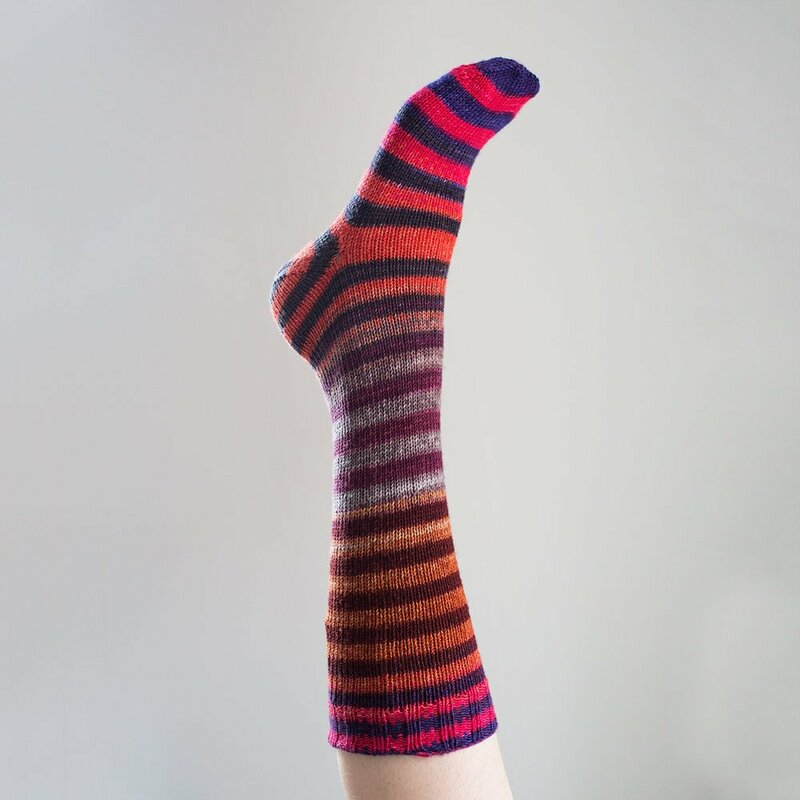 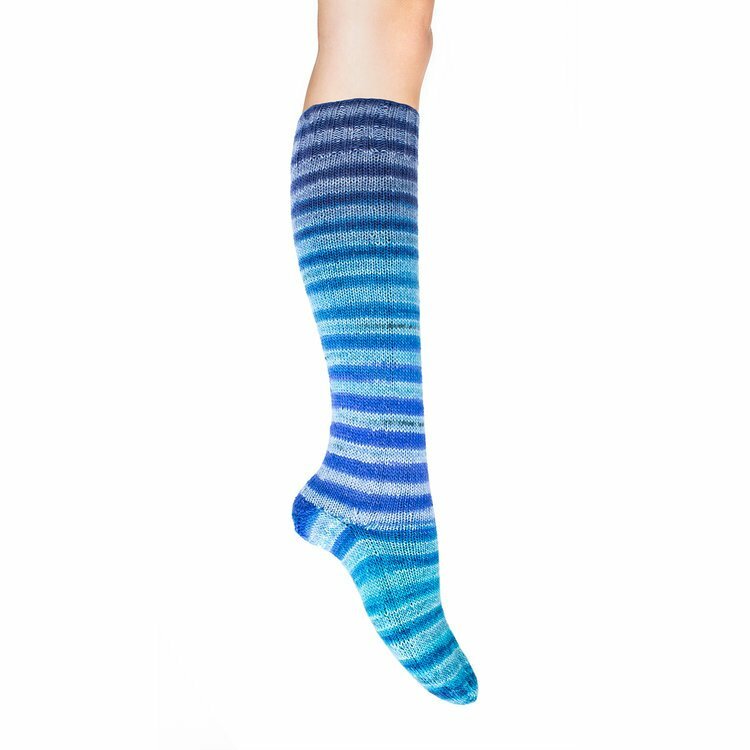 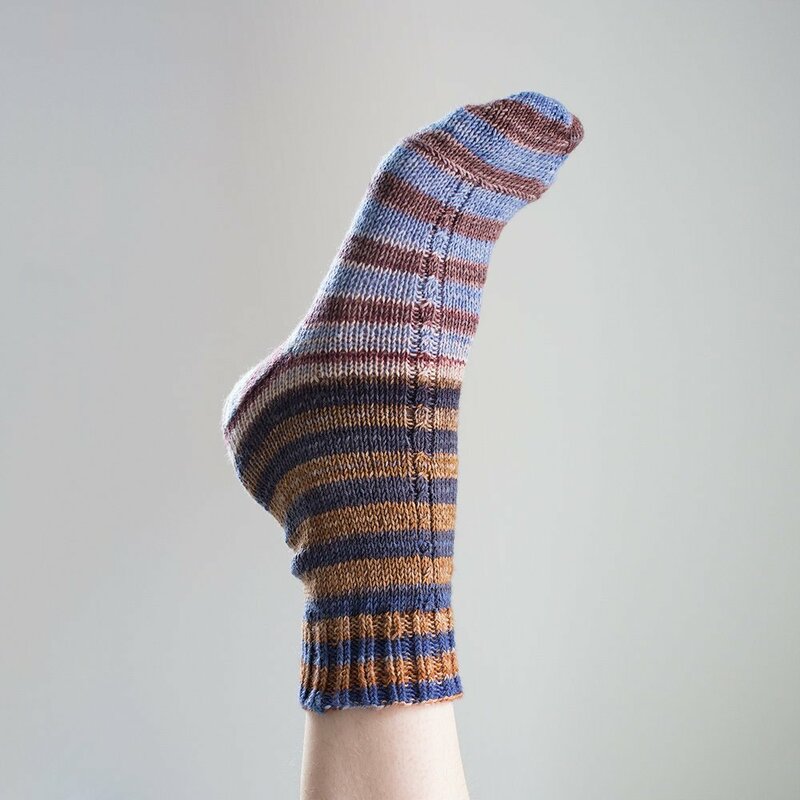 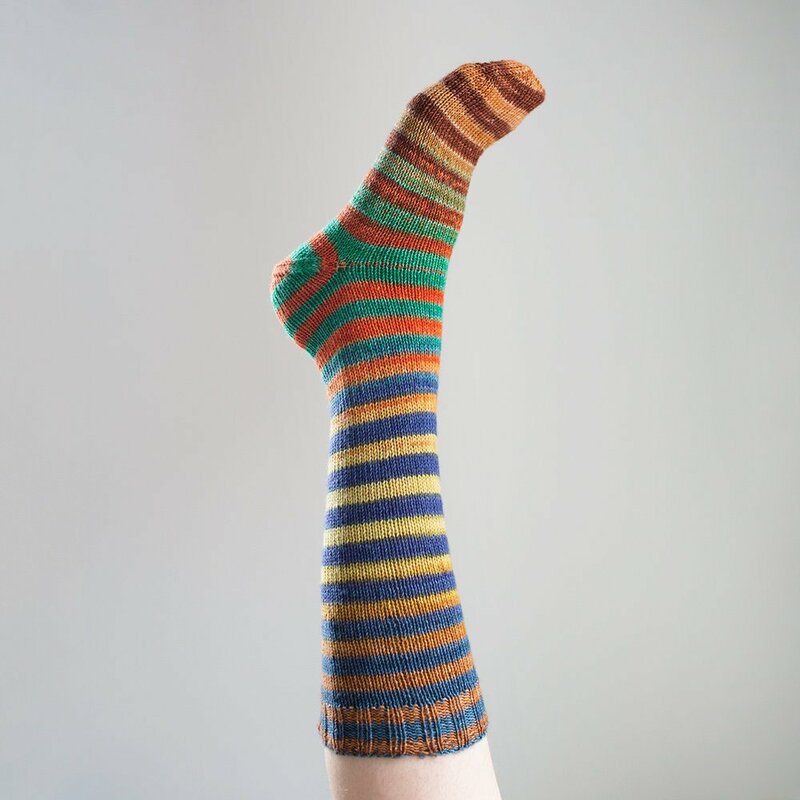 Self-striping sock kit for matching socks. 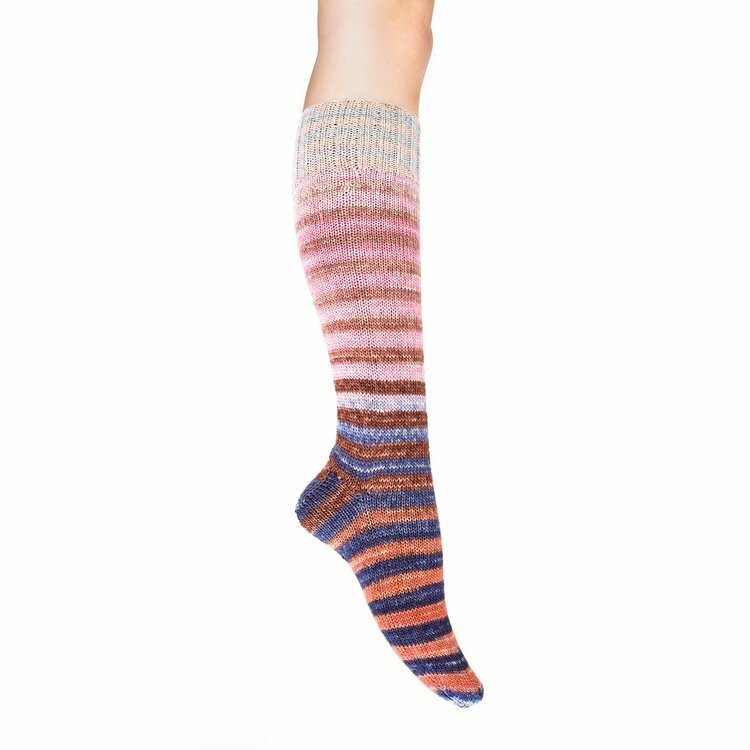 Each kit contains 2 pre-wound cakes and 3 sock patterns. 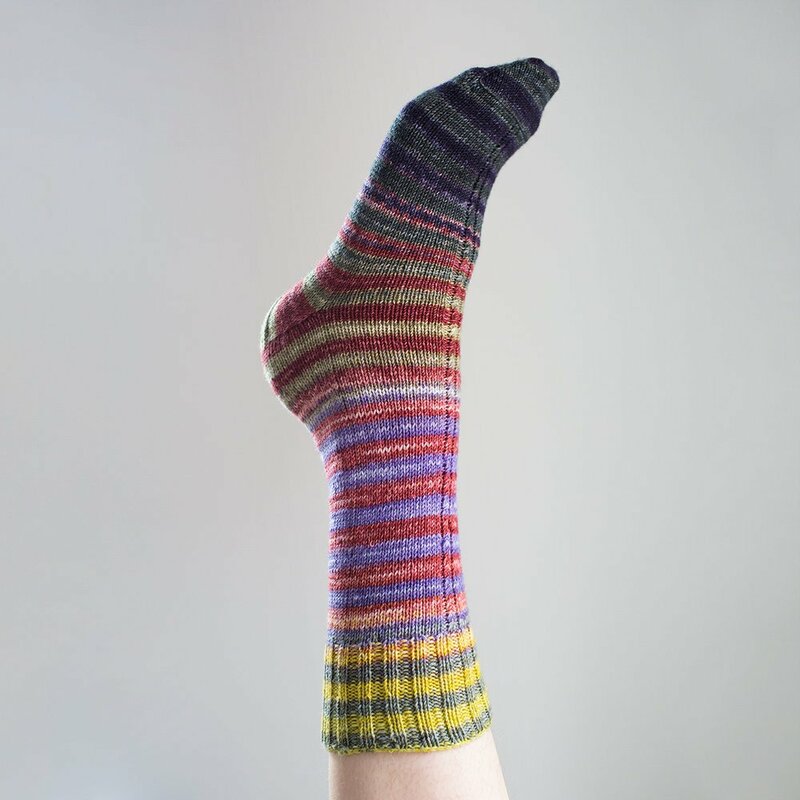 A truly unique self-striping hand dyed merino collection of vibrant colors. 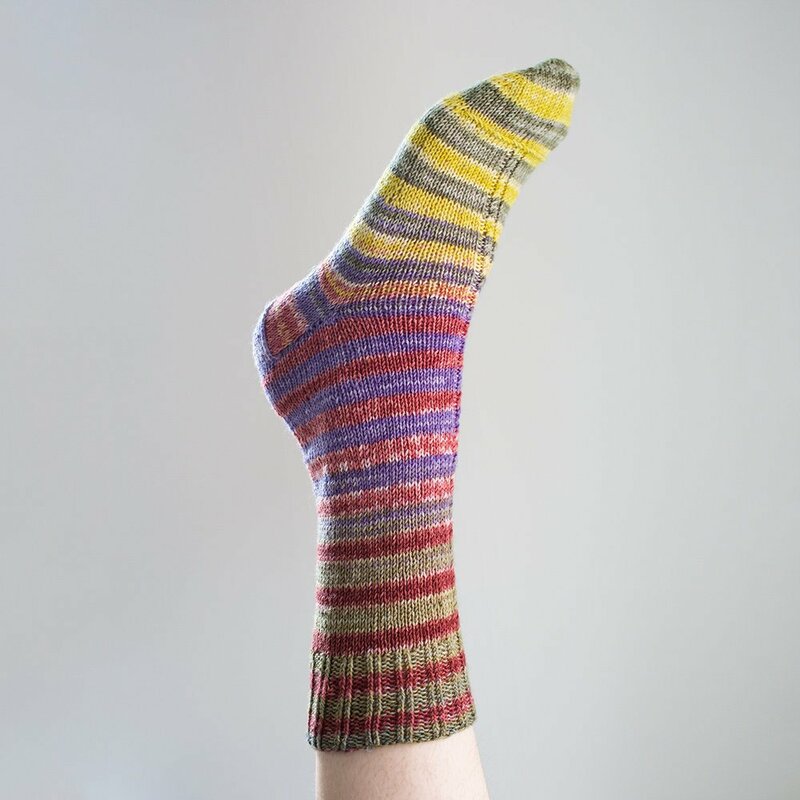 gauge: 7-8 sts = 1"